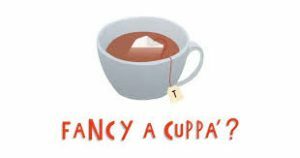 The New York Times recently published an article concerning the beloved business Tea & Sympathy, a British-themed store and restaurant located in Manhattan’s Greenwich Village, and the difficulty that it has encountered meeting its lease obligations. Closure of this business may occur unless the landlord is willing to amend the lease terms. Loyal customers of Tea & Sympathy have rallied in support of the business by contributing to a “Go Fund Me” page to assist the business in meeting its expenses. This post will examine legal strategies to be employed when a tenant foresees difficulty in meeting its lease obligations. Some of our clients with commercial leases have contacted us when they have encountered difficulty in meeting their lease obligations. The cause of such inability can arise from various factors. Perhaps the tenant did not engage the services of an experienced attorney when the lease was negotiated and inadvertently agreed to terms that were not advisable for a tenant. Unanticipated factors may have come into play that increased tenant obligations beyond those that may be comfortable, such as increased fees and real estate tax escalations of the municipality where the leased premises is located, or a major capital improvement conducted by the landlord for which the tenant agreed to pay a percentage of the cost. Although the tenant agreed to the rent increases when the lease was signed, the tenant may have eventually become unable to sustain the rent increases once other business expenses also increased. The business climate may have changed since the lease was signed. For instance, the product or service offered by the tenant may also no longer be desired or is now being offered online at a lower price. Given that most commercial leases are long-term arrangements, many of these factors can cause a tenant to be unable to meet its lease obligations. Your attorney should first determine whether the tenant wishes to continue to conduct business at the leased premises. If not, a lease surrender should be negotiated prior to “going dark”. Should the tenant wish to continue at the premises and even be fortunate enough to have sympathetic customers (like those of Tea & Sympathy) who would be disappointed if the business closes, attorneys for the tenant should conduct a negotiation with the landlord towards the goal of modifying the lease so that the current terms are consistent with the tenant’s current abilities and the landlord’s current needs to cover property expenses. Negotiation of a lease modification avoids yet another vacancy for the landlord and maintains the landlord’s cash flow. Our firm often fields inquiries from clients regarding successor rights in New York residential rental apartments. The first issue which needs to be determined is whether the premises in question are subject to rent regulation. Rent regulation in New York State applies to many, but not all, residential units. It is more prevalent in New York City than in its surrounding suburbs. However, it does also cover many rental units in Westchester and Nassau Counties. Whether an apartment is subject to rent regulation depends on many factors. 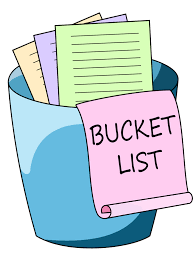 Defining these factors is beyond the scope of this blog post. It may depend on the number of units in the building, the age and history of the building, and whether the owner accepted certain government benefits or loans. 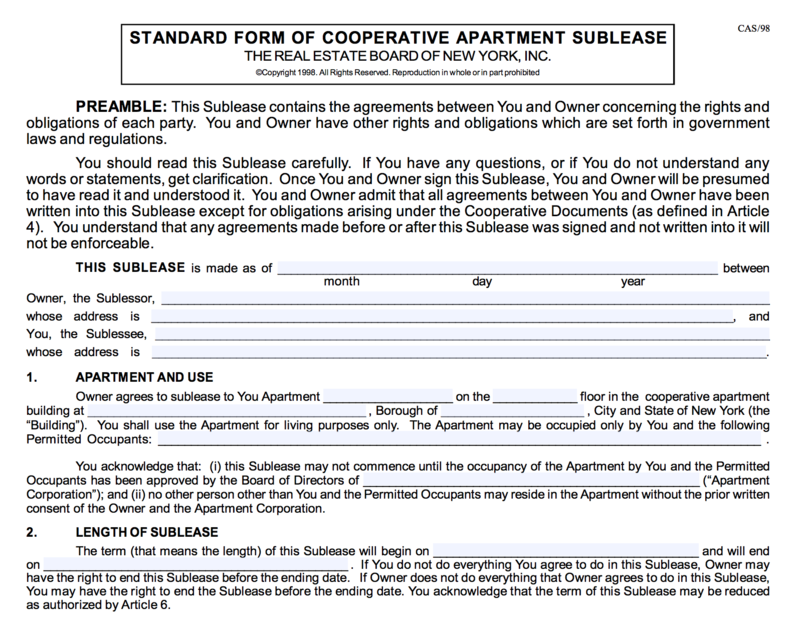 A rent regulated unit will generally be subject to the rent stabilization laws of New York State or the local municipality in which the unit is located. Generally, only cities with large populations will have apartment units subject to rent regulation. There are local government offices, known as the Division of Housing and Community Renewal (DHCR) which maintain databases allowing for a tenant to determine if their unit is rent regulated. Scheduled for this Sunday is the Super Bowl between the New England Patriots and the Los Angeles Rams for the championship of the NFL. 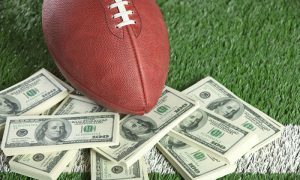 Recent news stories in the New York metropolitan area involve the possibility of making legal sports bets on the “big game” at casinos or racetracks located in New Jersey. The reason for this development is a recent decision by the United States Supreme Court which invalidated a federal law prohibiting individual states from making sports betting legal, with limited exceptions. The Supreme Court, by a seven to two vote, held that it was a violation of the Constitution to prohibit states from making their own decision regarding the legalization of sports betting. 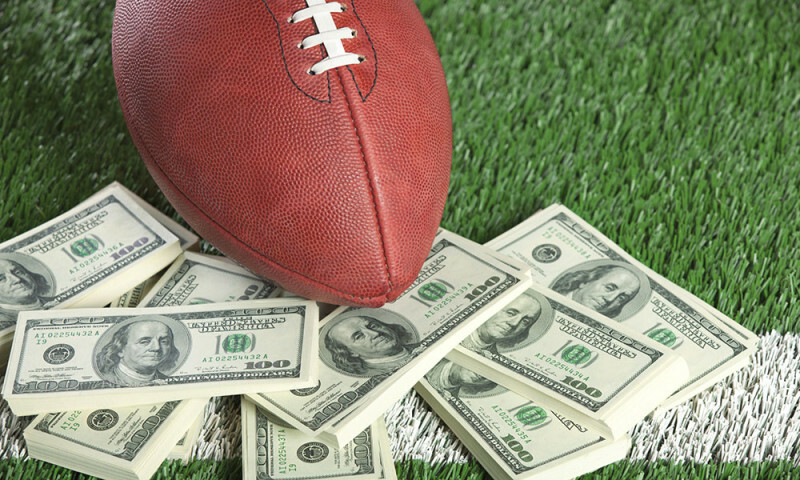 The result is that every one of the fifty states can now legalize sports betting (or decide not to legalize sports betting), and may determine where, when, and how such bets will be made within their state. The details of such legalization are left up to each state, including whether to allow online betting. New Jersey, which brought the case before the Supreme Court, has already passed legislation permitting sports betting in racetracks and casinos, such as the Meadowlands Racetrack located just a few miles from New York City. New York State has lagged behind, and has not yet legalized sports betting or decided on a structure for such potential legalization. For the time being, New York State residents who wish to bet against the Patriots in the Super Bowl must travel to New Jersey, or to another state such as Nevada, which has authorized legal sports betting. Prior blog posts have discussed the legal steps required to foreclose property in New York State. Often, our firm will encounter a foreclosure case that has been in litigation for many years. In fact, it is entirely possible for a foreclosure matter in New York to take between five and ten years from the commencement of an action to the final sale of the property at auction. Even after the final sale, there may be additional landlord-tenant litigation involving the owner or tenant being evicted from the foreclosed property. This post will discuss the legal ramifications of a delay in a foreclosure procedure. Foreclosure cases can be delayed for many reasons. Common reasons are court backlog, which may involve a Judge taking up to a year to render a decision on a motion, or simply failure of the lender or their attorneys to expeditiously file the various necessary motions in order to advance the case. Experienced counsel for the defendant may also further delay the case’s progress by interposing legitimate defenses to the action, such as a lender’s failure to provide the correct notices to the borrower as required by law. As a result, the case may take years to resolve itself. What is the effect of such a delay? The first effect is that if the borrower is residing at the property, it allows her time to arrange for new living arrangements. If there is insufficient equity in the property, and the borrower feels that ultimately, it will be sold at an auction, any delay will allow her to continue living at the premises while the case plays out in Court. Even after the property is sold, the new owner must bring separate legal proceedings in order to evict any persons living at the premises. Our attorneys may be able to negotiate with the new owner to give the former owner sufficient time to obtain a new residence and arrange for movers. We have even successfully negotiated for the new owner to pay the prior owner’s moving expenses in order to have the property vacated. 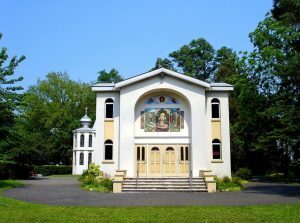 Recently in the news is a decision in a lawsuit regarding the potential eviction of a defrocked nun in a Russian Orthodox convent located in Nanuet, New York. This case is an interesting intersection of two areas of the law that our firm practices; namely, how the decisions of a religious organization can affect the disposition of real property, as well as the residents of said real property. 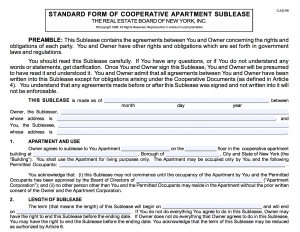 Prior blog posts have discussed how religious corporations must obtain approval from the New York State Attorney General in order to sell, lease, or mortgage real estate owned by the religious organization. This often causes disputes where there are different factions within the religious organization, and these factions cannot agree on whether to sell real estate in order to relocate the place of worship. As prior posts have discussed, courts are reluctant to intervene in disputes which are solely the result of disputes over religious doctrine. However, disputes over control of a religious organization which can be resolved on the basis of neutral principles, that is, without second-guessing decisions made solely on the basis of theological grounds, may be resolved by the court. The First Amendment to the United States Constitution generally forbids government involvement in religious disputes. This principle also applies to the Courts, which are, in essence, instruments of the government, whether state or federal. The lawsuit under discussion involves attempts to allow an ejectment action against a nun who was defrocked by her parent religious organization, the Russian Orthodox Convent Novo-Diveevo. 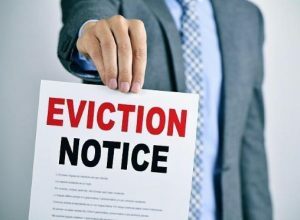 Our blog has previously discussed evictions against certain “non-traditional” tenants, such as licensees and invitees, who usually do not have written leases, but reside at certain properties. 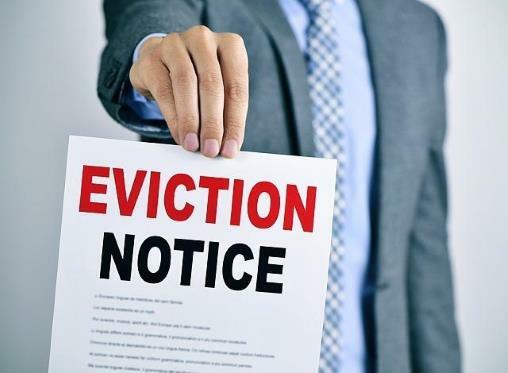 The usual course of action in such matters is to serve a Notice to Quit, giving the tenant (often referred to as a licensee or invitee, depending on the specific situation) thirty days in which to vacate the premises. If they do not vacate, the owner of the property can then either bring a petition for eviction in the local landlord-tenant court, or, in cases involving more complex issues, a civil action for ejectment in the Supreme Court in which the property is located. News outlets have recently reported that numerous Sears locations will be imminently closing. Our readers are most likely aware that Toys R Us has closed all of its locations due to its bankruptcy filing. Both Sears and Toys R Us would be considered anchor tenants by commercial landlords. An anchor tenant leases a large square footage space or is of the nature of a large and influential company such as Starbucks or Apple. Anchor tenants such as department stores and movie theaters draw customers to the mall or shopping center, so that the same customer continues to shop at the premises and patronize its other businesses. Once an anchor tenant closes, the landlord should seek to locate another anchor tenant to fill the vacant space, so that the shopping mall will draw customers to the anchor location and benefit the other businesses in the mall by drawing shoppers. This post will examine the provisions that a potential anchor tenant will ask its attorney to have included in a lease. 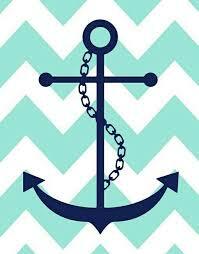 Exclusive use can often be demanded by an anchor tenant. Should Bed Bath and Beyond be the proposed tenant, it may require in its lease that the landlord may not lease another space in the shopping center to a tenant that sells home décor, bedding, kitchen equipment and the like, so as to minimize competition that may hinder its business. Should the landlord violate such an exclusive use provision, the tenant’s lawyer may have negotiated a rent abatement and right to terminate the lease. In addition, many anchor tenants present their own form of lease to the landlord, rather than sign the landlord’s version of the lease. Signage is very important to anchor tenants. Anchor tenant leases may include a provision that the anchor tenant must always be the first name on mall signage and be of the largest font size. Visibility of signage is also important, so that the anchor store’s name is listed on internal building directories, directional signs throughout the mall and the like. Landlords who lease commercial space typically concern themselves with the quality of a proposed tenant so that such character is consistent with that of other tenants occupying the property. Such concern is reflected in particular provisions found in a commercial lease. This post will discuss some of the more common tenant “character” provisions. Signage is important to commercial tenants so that the store’s location is visible and identifiable to potential customers. Because landlords are concerned that certain signage may look physically unpleasing or be harmful to the reputation of the property, landlords typically specify signage requirements in the lease. 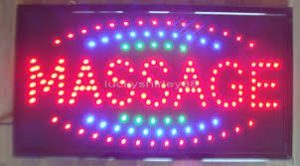 The landlord will reserve the right to approve the signage sought to be used by the tenant and will usually not allow a sign that appears to be too large or has too much neon compared to other signs already used at the property. Of course, signs containing vulgar words will not be permitted. When negotiating your lease, your attorney should also negotiate an exhibit to the lease which will contain a drawing of exactly how your sign will look with specific dimensions referenced. That way, the parties will have already decided on the approved signage before the lease is signed. Landlords also want to control store hours. Many leases have provisions to that effect. In a shopping mall environment, most leases will require stores to be open for the same number of hours. Such a provision benefits all tenants, as the mall is more likely to be a thriving place in which to do business if shoppers can visit more than one store. On the flip side, landlords may demand that a public storefront be closed after a certain hour so that visitors do not “hang out”, impairing the reputation of the property or creating too much noise, impacting neighbors of the property.